Maruti Ertiga Booking Charts Cross 10000 Mark In Just 5 Days! 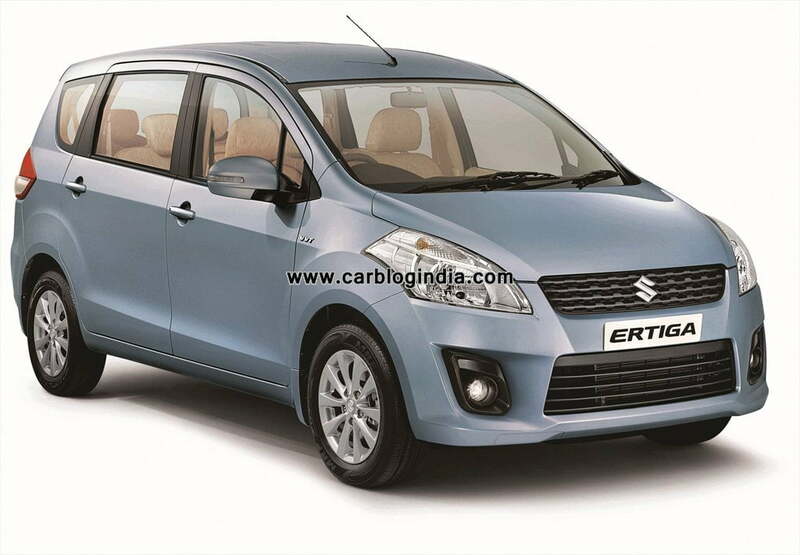 Maruti Ertiga Booking Numbers Cross 10,000 Mark! If one car is making a lot of excitement in the automobile market as of now, it is the newly launched MPV by Maruti Suzuki India, which they call a LUV – Lifestyle Utility Vehicle – Maruti Ertiga. It is creating lot of excitement in the car market as buyers are looking at it as a family car and sedan alternative rather than a commercial people mover like reputation of most MPVs in India. As a testimony to the excitement generated by the the LUV, Maruti Ertiga Booking Numbers have crossed whooping 10,000 mark in just 5 days after the official launch of Ertiga in India on 12 of April 2012. One of the prime reasons behind such overwhelming response in terms of Maruti Ertiga Booking is the overall package which Maruti Ertiga offers in a very reasonable price point. Last time we saw this kind of excitement for the Mahindra XUV500 which gives its competitors run for their money and does offer some segment leading features and gadgets. Talking of Ertiga, it offers goof interiors quality, reliable and fuel efficient engine lineup coupled with sales and service network of Maruti Suzuki which ensures lower maintenance costs and lower running cost. Other than the competitive pricing and high fuel economy, Ertiga does have compact exterior dimensions as well which makes it a more favourable choice for congested city commuting rather than the larger competing MPVs which need more space to maneuver. Also it also offers more attractive exterior looks compared to the most MPVs in the market. The Maruti Ertiga launch in Indonesia is in May 2012 the CKD kits for which are already started exporting from India to Indonesia. We will keep an eye on the sales reports of Maruti Suzuki to see how well the Maruti Ertiga sells in the coming time. For latest updates, do sign up for our free email newsletter and like our official Facebook Page. Check out some more Maruti Suzuki India news here.